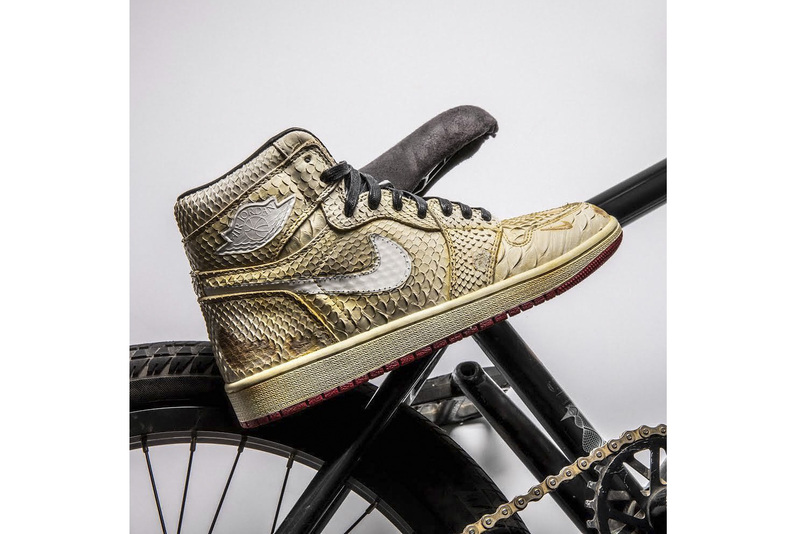 Known for his luxe remasterings of coveted sneaker silhouettes, The Shoe Surgeon this time sets his aim on Nigel Sylvester‘s Air Jordan 1 “Lux” model. The sought-after Nigel Sylvester colourway, originally released in 2018, returns as an exotic masterpiece thanks to the renowned sneaker customizer. The AJ1‘s upper has been hand-crafted from beige premium python leather, which has been marked up with distressed details. A half-white, half-brown leather Swoosh branding can then be seen wrapped around the shoe, while black leather dresses the inner lining, tongue and laces. Finally gold Shoe Surgeon logos have been embossed on the tongue tabs. Interested buyers can head over to the Shoe Surgeon’s online store to purchase the remastered Nigel Sylvester’s Air Jordan 1 “Lux” for $3,000 USD this Saturday, February 9. Only 11 pairs will be made available. The architecture studio has collaborated with Nordic Comfort Products. Set to be the longest movie in the MCU. Celebrating the Hornets and the Bobcats. Featuring handcrafted jewelry, unique pigment dyes and enzyme finished denim.